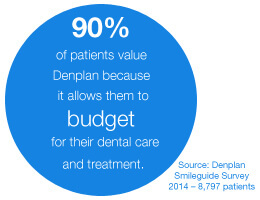 Denplan Essentials is an easy budgeting plan that covers you for the foundations of your dental care, helping to stop problems before they start. This plan covers you for your regular check-ups and may also include a scale and polish or hygienist appointment, depending on the dentist you choose. Your plan will also include worldwide dental injury and dental emergency cover (Denplan Supplementary Insurance). What does Denplan Essentials cover? Please note, our plans can be tailored by your dentist, so the inclusions and exclusions below may be changed at your dentist's discretion. Copyright © One Smile Oral Care. All rights reserved.